If your order weighs less than 13 ounces, save huge on shipping with USPS first class (with tracking number). This product weighs 18.1 oz. Nature’s Sunshine Liquid Cleanse is an herbal cleanse, containing Aloe Vera leaf to soothe the digestive tract, red raspberry concentrate which provides helpful antioxidants and a pleasant flavor, Senna leaves to cleanse the bowels, Barberry root bark to comfort the intestinal lining, Ginger rhizome to support digestion, Dandelion root to aid the liver and gallbladder for efficient waste removal, and Capsicum fruit for additional digestive support. 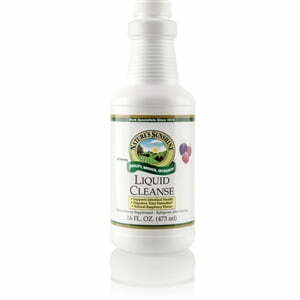 Instructions: Take one ounce (30 ml) daily, as part of your personal cleansing program. Sodium Benzoate and purified water.